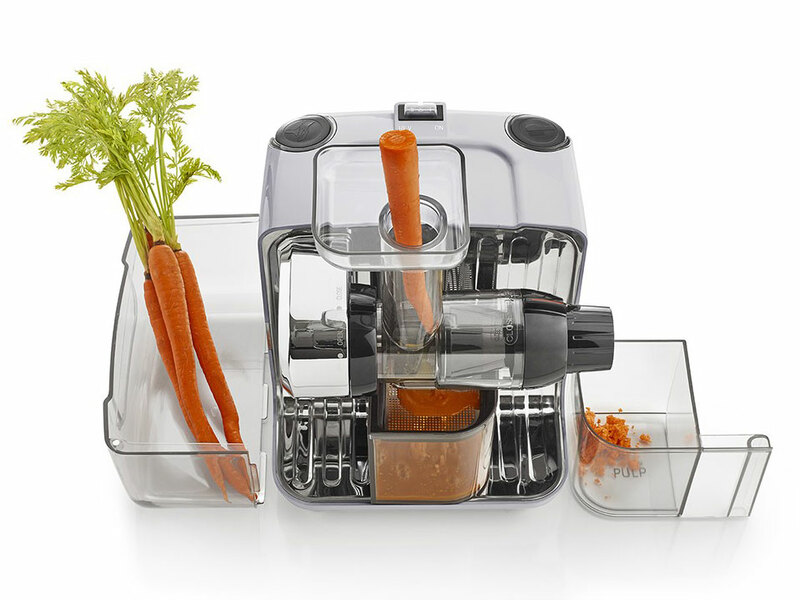 Introducing the Omega Juice Cube Juicer, the latest multifunctional cold press juicer from Omega. With excellent nutritional extraction, added functionality, a ground breaking square footprint and an appealing cube form, the juice cube ticks all the boxes! The Omega Juice Cube and Nutrition System extracts fresh juice from fruits, vegetables and leafy greens. Extracts fresh juice from fruits, vegetables and leafy greens! Excellent counter top appeal and a compelling industrial design. With the versatility to create nut butters and baby food, work as a pasta and soy milk extruder, or even serve as a grinder for coffee beans and herbs. 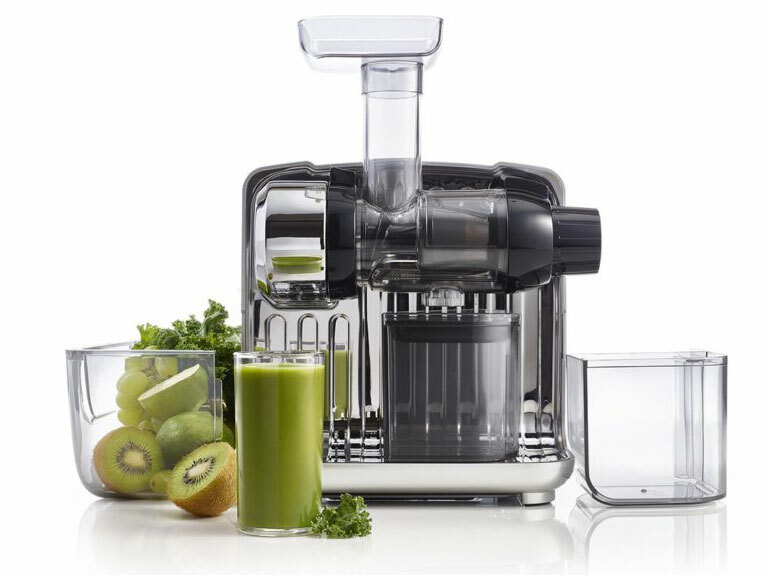 The Omega Juice Cube is so much more than a juicer! The Omega Juice Cube chews through plant fibers and penetrates membranes to extract the fullest taste and highest values of vitamins and minerals from fruits and vegetables including wheatgrass, carrots, apples and green leaves.